Employment and activity rates in the new EU Member States (NMS) declined significantly up to the early 2000s and started to increase along with strong GDP growth thereafter. Job losses following the outbreak of the economic and financial crisis varied substantially across countries and have not been offset yet. 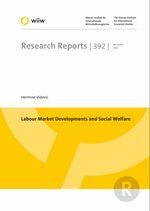 Overall, the low-educated and the young people are very disadvantaged on the NMS labour markets. With the exception of Poland and Slovenia, non-standard types of employment are uncommon in the NMS, following the pattern of Southern EU countries. Employment protection legislation has been adjusted to ‘European standards’ in the entire region. Union density and consequently the impact of trade unions on wage setting and employment in the NMS fell dramatically. In all NMS unemployment insurance schemes as well as minimum wage regulations were introduced at the beginning of the 1990s, but are less generous than in the EU-15.